A contender for the leadership of the Ulster Unionist Party has said he would not attend gay pride marches or GAA games. Tom Elliott told the Belfast Telegraph: "I have indicated at party meetings that whilst some members of our party would go to gay pride marches or GAA matches, I wouldn't go. "That's a personal issue, but I hold no issue with any of those who would." He added: "It was just me saying that I never have and it's certainly not my intention to go to any of them." Mr Elliott, an Assembly member for Fermanagh and South Tyrone, announced his candidacy last month and expects to win the support of senior party members. His statement on pride marches was seen as an attempt to differentiate himself from the other candidate, Basil McCrea, who is considered more liberal. Mr McCrea has spoken of enjoying GAA matches and attended a pride march in Belfast in 2008. The UUP failed to win a seat in this year's general election despite an alliance with the Conservative Party. In April, an Assembly member was barred from standing for a seat in South Antrim after being accused of homophobia. 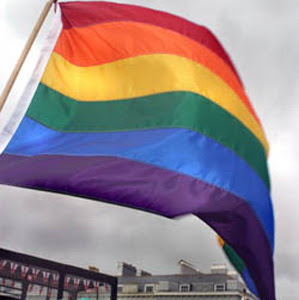 Adrian Watson, the mayor of Antrim, said in 2006 that he would not allow gay and lesbian couples to stay at his guest house. Mr Watson denied being homophobic but said that he had been barred from standing for the seat because he was not a politically correct "Cameron cutie". UUP members will vote for their new leader on September 22nd.